Aaron continues to hunt deer, but turkeys are his first hunting passion. Aaron's goal is to bag a gobbler with his bow, but he also has a list of people who he's promised to call for. "Turkey is my second language," Aaron said. "I love calling for folks as much as hunting (turkeys myself)." 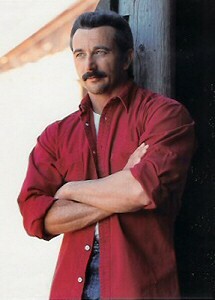 "Aaron Tippin Walks His Talk"
their families in your thoughts and prayers.